One of our largest and most longstanding customers, Canadian Property Stars, recently came to Ottawa for a 2013 Winter GPS Boot Camp to help prepare for the coming season. Over 60 managers came from all across Canada to participate in this fun training event. Every year the team from Canadian Property Stars serve people across Canada for home services including lawn aeration, driveway sealing, pressure washing & window cleaning. Efficiently managing their teams as they serve these customers is a crucial part of their business, and that’s where we come into the picture. The purpose of the Winter Boot Camp event is to help these managers train with their GPS tracking devices. To do so, GPS to GO hosted an internal scavenger hunt for the managers to educate themselves on the many functions of the GPS to GO platform and also have a little fun at the same time. 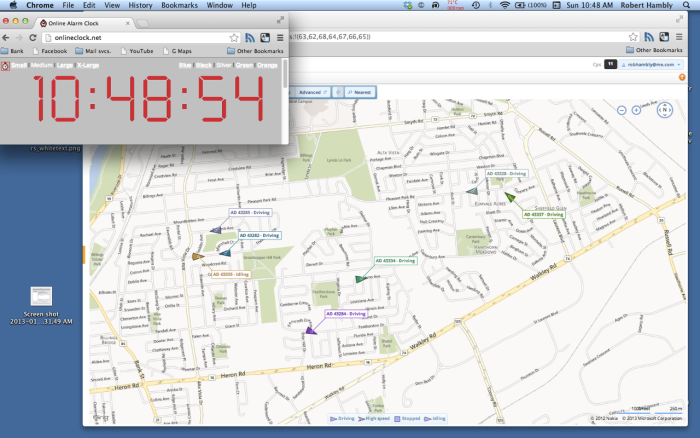 The team navigated around Ottawa, using their GPS devices to search and find prizes in a limited amount of time. This was not only great practice for using the tracking devices and platform, but also for testing and calibrating the units for the fast approaching season. The teams’ progress was observed on screen back at Boot Base Camp. 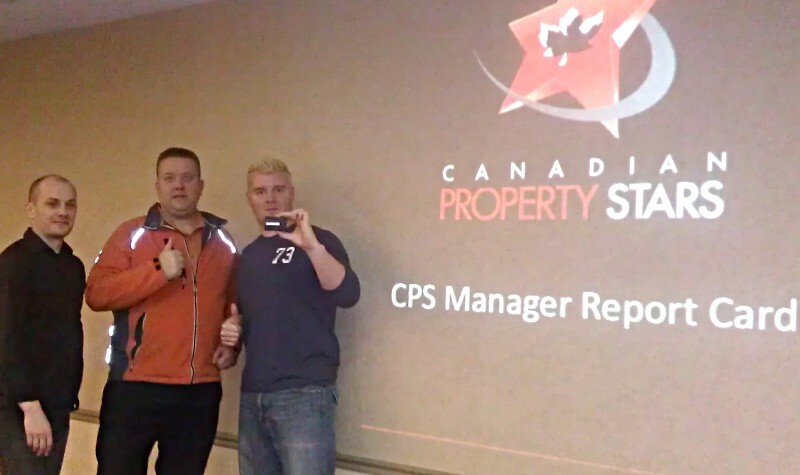 The Canadian Property Stars team loved the exercise, and to quote them, “were all amazed to see the live technology and detailed information” that the GPS to GO platform offered. In fact, CEO Ben Stewart estimates that accidents were reduced down to almost zero and that they saved well over $200,000.00 in gas and maintenance costs from the previous year using the GPS to GO fleet tracking system. He continued to say that the installation of now over 70 GPS to GO GO5 devices on Canadian Property Star vehicles coast to coast in Canada has helped save the company from numerous driving violations and allowed for more customer time not spent on the road. That’s something we can be happy about! So to wrap up a successful training event, here we see Rob Hambly, Company Operations Manager, myself – Russ Salo, and President of Canadian Property Stars, Ben Stewart. I think we at GPS to GO had just as much fun as they did.